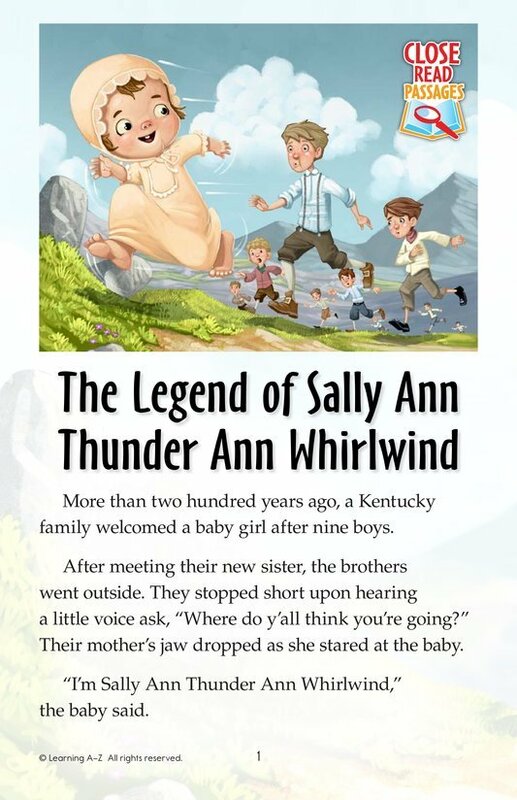 Sally Ann surprised people from the moment she was born. After nine boys, her parents finally welcomed a girl to their family. As a newborn, she started to talk and walk before most babies could roll over. She learned to run right away. 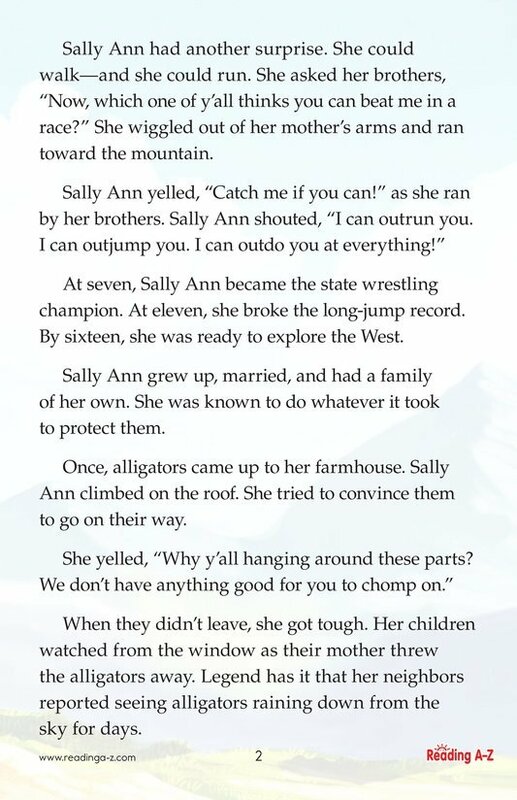 Throughout her adventurous life on the American frontier, Sally Ann was always looking for a challenge. Her quick-thinking and amazing skills kept her and her family safe—and entertained!